Our hotel,just few minutes away from Lucca-Pistoia-Florence in the middle of Tuscany,in his noble heart offers of areas geograpichal unique around the world. Here,you can discover the protected area of Padule di Fucecchio, the biggest marsh in all Italy to the charming Svizzera Pesciatina to the rolling hills of Lucca and Montecarlo to Montalbano up to Valdinievole. We have identified and implemented in collaboration with our local cycling guides,a variety of itIneries the result of a long work thanks to help of GPS technology,show to people many points for stop and visit cultural and stop for tasting food and wine. 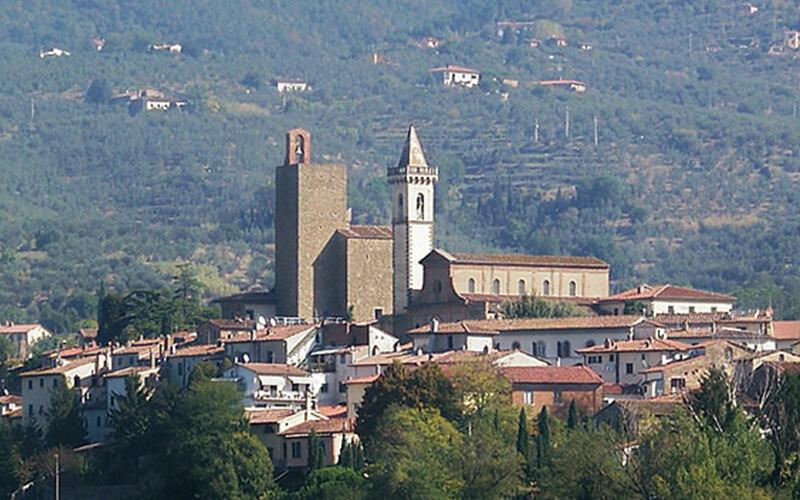 Who will be in Tuscany will have the opportunity to ride on the roads of the next World Championship Cycling 2013 and to enjoy the beautiful scenery passing though typical villages,town medieval,castles,still encountering Roman churches, Abby, Chatedrals, Baroque, up to Renaissance. Collodi, where you can admire the old town that still stands today perched on the mountain, where you can pay a visit to the park of Pinocchio. 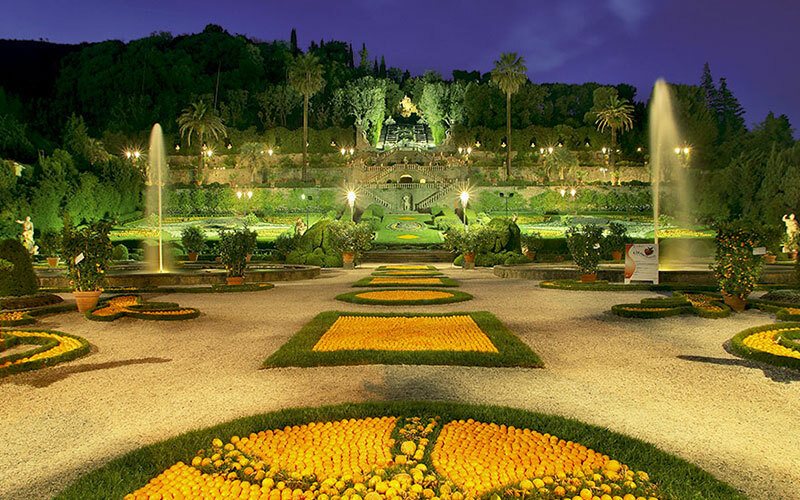 Villa Garzoni, riding along the path during the famous wine roads of Monte Carlo, a city famous for its wine, where you can taste typical directly from the farmer or farm. 45 km. 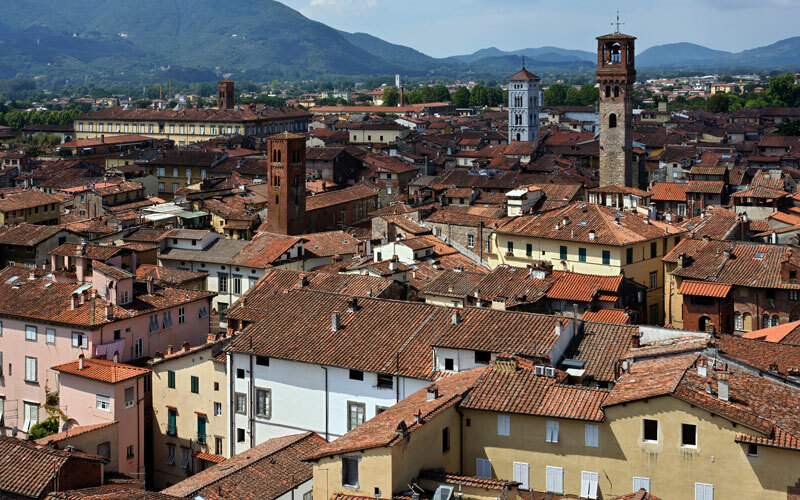 Lucca, one of three Italian cities still protected by walls, where you can taste the famous Buccellato and ride with confidence on its walls, up to the famous Renaissance villas. 70 km. 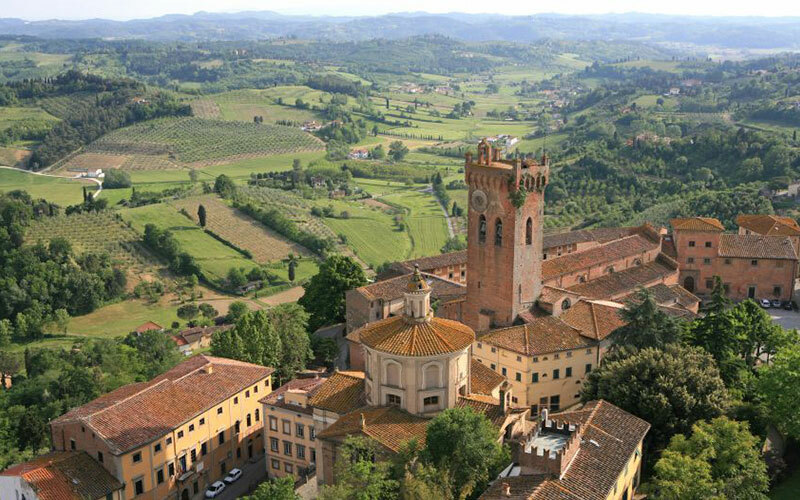 San Miniato, the city famous for white truffles, which each year holds an event theme throughout the month of November, going to ride on the characteristics Florentine hills and the famous wine routes of the Pisan hills. 80 km..
Vinci, the city that gave birth to Leonardo, among his many inventions including the first cycles, where you can see and visit the museum and the house where Leonardo was born. 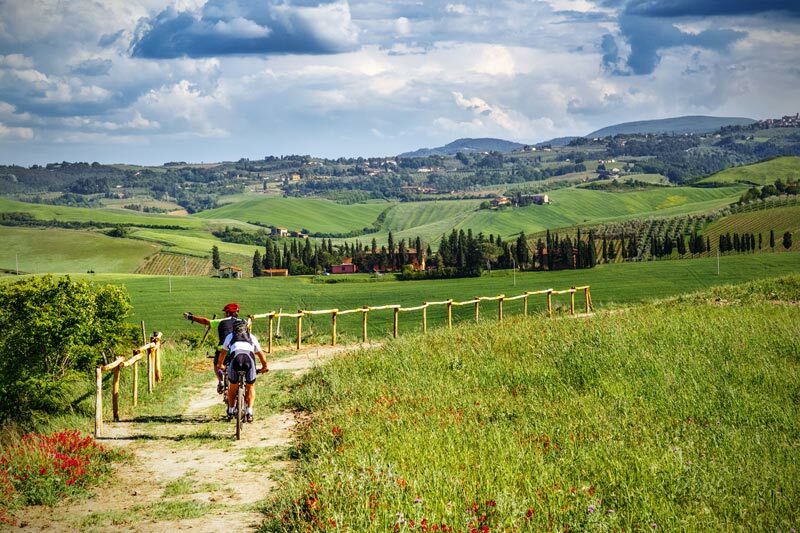 All this going to ride in beautiful and famous streets of the Montalbano hills of Leonardo's wine and oil, where you can ride in perfect harmony with nature in the famous valley of olive trees Cerreto Guidi, ancient home of the Medici family of Florentine . Rest stop for wine tasting and olive tasting km 45 - 50. The more experienced and willing to face the ride can climb the famous San Barons from three sides, where the top will find a great Italian coffee and be admired, as well as a unique landscape, the statue was erected in the summer of 2010 in memory of Franco Ballerini and that protects all cyclists. 70 km. 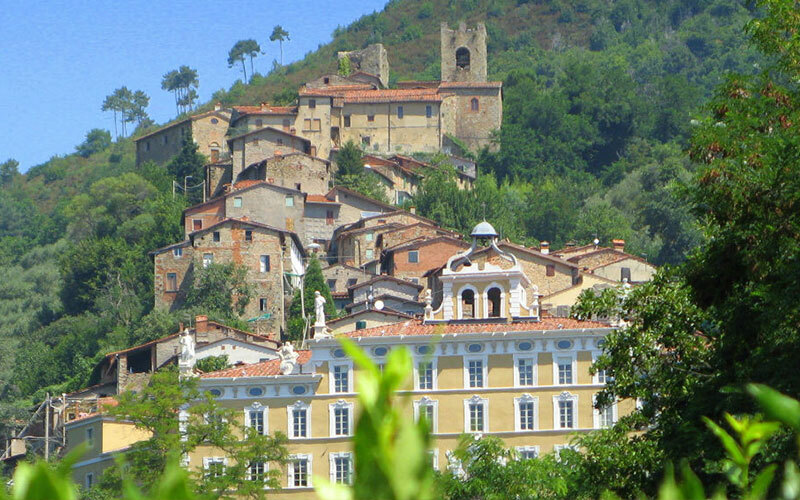 Pescia, the city of flowers, famous worldwide for its world production, until you get up there in Switzerland Pesciatina, so named because it resembles the Swiss mountains, where time seems to stand still. A journey through ten medieval villages built all with a well-defined pattern facing south, protected by walls over time in many cases were destroyed. One of the 10 named Sorana, famous for his highly sought after beans of excellent quality, the production is sparse and limited to the vicinity of the homonymous village. 60 km. 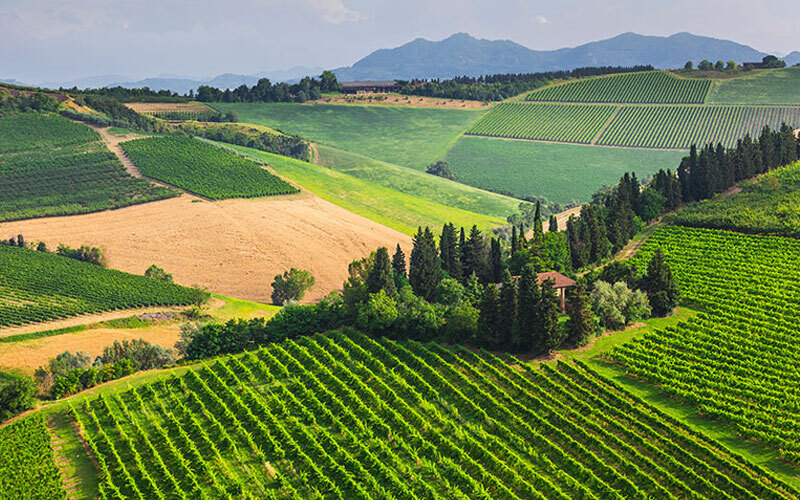 Chianti is a wonderful hilly area of Tuscany, famous for the production of the finest wines in the world, it is also an ideal area for biking. 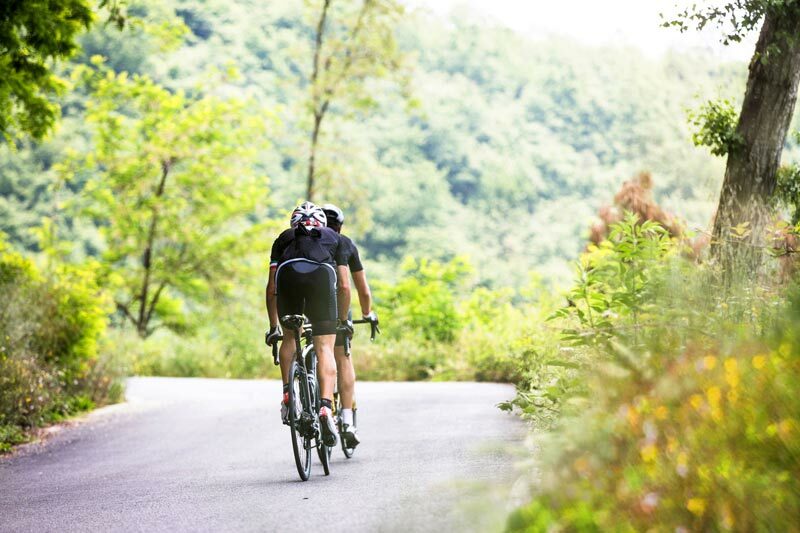 Due to the characteristics of the territory, nestled between the vines and the olive trees, and for the plurality of routes, the bicycle is the ideal way to discover these lands with mountain bikes, racing bikes or hybrid bikes. The white roads do not allow high speeds but take the time necessary to admire the surrounding landscapes.